Change things up with these side-trips from Mumbai: Navi Mumbai (Juma Masjid, Nerul Balaji Temple, & more), Thane (Shri Bhuvan Bhanu Jain Manas Mandir Tirtha & St.John the Baptist Church) and Vailankanni Church (in Mira Bhayandar). Pack the 8th (Tue) with family-friendly diversions at KidZania Mumbai. Plan for a day of cool, family-friendly fun on the 13th (Sun) at Water Kingdom. The adventure continues: appreciate the history behind Gateway of India, take an in-depth tour of Mani Bhavan Gandhi Museum, take a stroll through Nariman Point, and contemplate in the serene atmosphere at Shree Siddhivinayak. 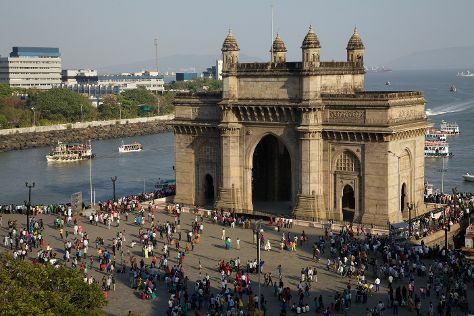 To see where to stay, more things to do, ratings, and other tourist information, refer to the Mumbai trip planning website . If you are flying in from United States, the closest major airport is Chhatrapati Shivaji International Airport. In September, plan for daily highs up to 88°F, and evening lows to 76°F. Finish your sightseeing early on the 14th (Mon) so you can travel back home.